The blue square superseded the oval badge and ran from 1957. This model has a traditional style scarf joint, even though I have an earlier, oval badge Ajax with a laminated shell and simple throw. 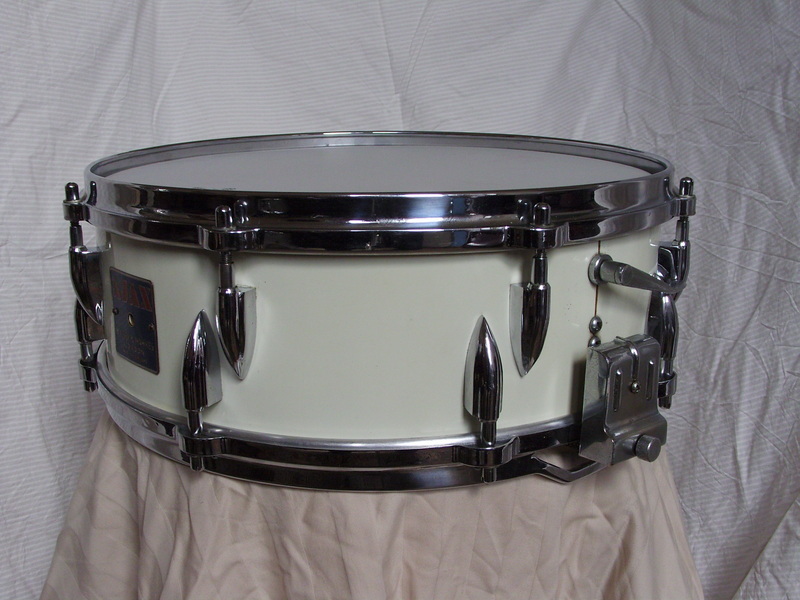 This drum is in remarkable condition, 100% original and complete.